I have a confession to make. Sometimes, in the course of my week, I make too much food. Sound like a good problem to have? Well, it seems to be alarmingly common in our affluent country. My excuse is that I develop recipes for a living, so I test recipes even when I already have food to eat. My family, friends and neighbors all benefit from my overproduction, but more often than I would like, things go to waste. That half a jar of tomatoes for the pizza I made a couple of weeks ago got ignored when I moved on to testing dessert recipes. Then, we meant to finish all that cake, but by the time we realized that we couldn’t eat another bite, it was stale. I feel terrible about it, every time, and resolve to do better. This year, for Earth Day, I’m going to do my small part to cut back on waste. We waste food at all points in the supply chain, so it’s not just your fridge that’s causing problems. At harvest, it gets damaged and tossed on the way out of the field. At the processing plant, things spoil or stick to the machinery and get rinsed down the drain. 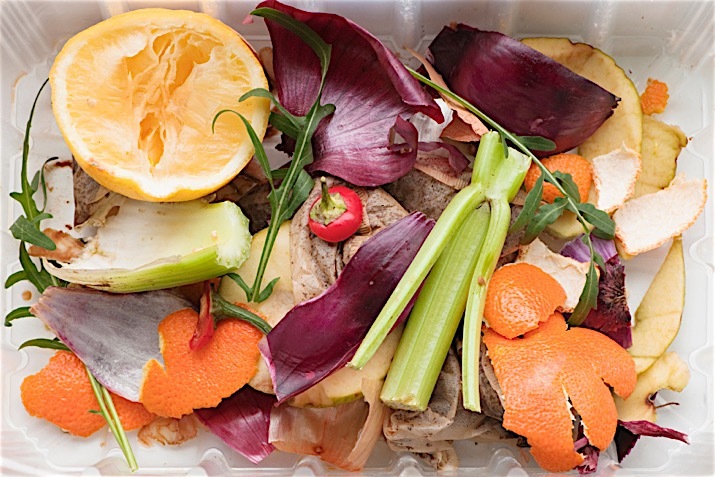 Grocery stores have to sort through and discard produce that isn’t perfect, although some of that is picked up by food shelves (a recent study found that food co-ops recycle 74% of food waste compared with a recycling rate of 36% for conventional grocers.) Out of date packaged goods have be pitched, as well. Restaurants and food service fill dumpsters with all the food we leave on our plates, combined with things that didn’t sell in time. We have gotten into wasteful habits, in part because food is relatively cheap. We are a prosperous nation, and I’m betting that most people don’t think calculate how much the food they toss actually costs. When you clean out the fridge, do you compute the 49 cents for the half an apple, or the $2.29 for a few slices of out-of-date lunchmeat? Beyond the cost, the carbon emissions add up, fast. I am going to work to waste less this year and use more of the food I buy. If you’d like to do the same, here are a dozen tips that can help reduce your waste, and as a bonus, save you money! Do you discard broccoli and cauliflower stems? Peel the tough skin from the stems and chop the tender cores to use in the dish, or cut in planks to eat with dip. Are those bananas looking a little too brown to put in the lunch box? Peel and freeze them, then add them to smoothies, or thaw and puree for banana bread, muffins and cakes. Do you have bread going stale? Freeze the slices to use later in stuffing, croutons, or recipes such as Ribollita soup, Creamy Lentil Soup with Wheaty Croutons or Flexible Bread and Veggie Casserole. Make croutons for salads and soups, or crumbs to toss with pasta or top casseroles. Don’t forget about bread pudding and stratas, too.